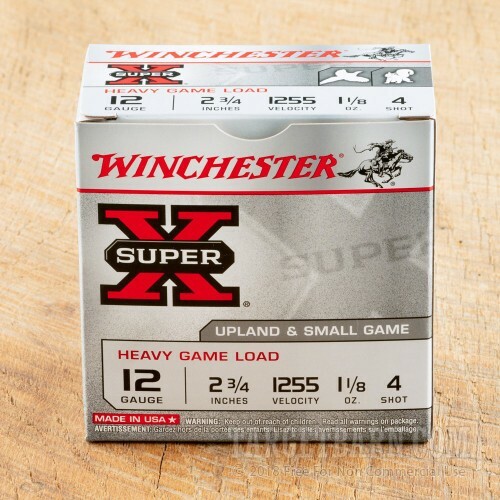 Super-X Game Loads present the high level of quality and reliability that shooters have come to expect from Winchester products. 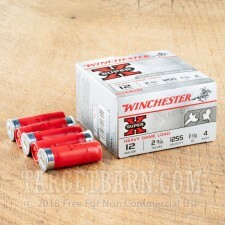 These 12 gauge shotshells are manufactured by the Olin division of Winchester. A long-time producer of United States military munitions, Olin has become a trusted brand among serious shooters. 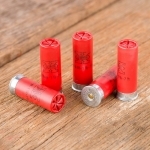 You get 25 new production rounds that are perfect for small game, waterfowl, and upland birds, like quail, pheasant, and dove. Some shooters also prefer these rounds for home defense since they are less likely to penetrate walls. 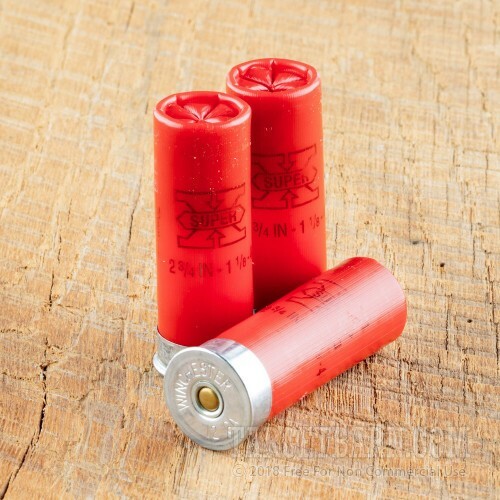 Each 2 ¾ inch reloadable shotshell is boxer primed and loaded with 1 ⅛ ounce #4 lead shot. Leaving the muzzle at a speed of 1255 feet per second, Winchester's famous 209 primer and clean burning powder produces consistent velocity with every shot. With a special single-piece hinged wad, these rounds generate repeatable tight shot patterns and a significant reduction in felt recoil. 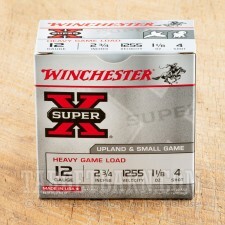 Designed for use in smooth barrel 12 gauge shotguns, Winchester Super-X Heavy Game Load deliver the consistency and reliable performance that hunters appreciate.